Over the past decade Ashley Noelle has been a Writer, Non-Profit & Ministry Leader, and Conference & Event Director for an online women's network while raising three daughters as a police officer's wife. She is a southern girl now living in California with a Saturday night personality and a Sunday morning heart. 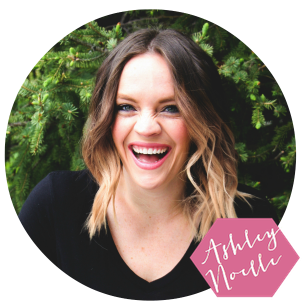 Ashley is fiercely passionate about helping women find their God-given voice and living authentically for Jesus. She believes that whether its gathering together for a supper club, begrudgingly homeschooling, writing at home online, or standing on stage and speaking life, God has given each of us a unique passion, platform and purpose. Ashley loves speaking topically on a variety of subjects important to women, teaching God's word, as well as sharing a way to reimagine the pro-life movement into one of pro-love via Save The Storks. She is happy to speak on one or more of the above categories. She is funny, engaging, and vulnerable. Ashley is available for speaking engagements, emceeing events, and panels. Please fill out the form below and we will have someone contact you.